TORONTO (JAN. 14, 2019) – Josh Gorges has announced his retirement today from the National Hockey League (NHL) following 13 seasons. Born in Kelowna, British Columbia, Gorges’ reputation was defined by the determination that helped pave the way from his time as an undrafted defenceman through an NHL career of 783 games (17-107–124) spanning 13 seasons. Gorges first earned himself an NHL contract with the San Jose Sharks as a free agent Sept. 20, 2002. While his NHL debut would not come until Oct. 7, 2005, Gorges enjoyed early success as a junior hockey player representing his hometown. On the heels of a Western Hockey League championship in 2003, Gorges then helped the Kelowna Rockets to a Memorial Cup championship in 2004 with the ‘C’ on his chest. Not only did Gorges receive the George Parsons Trophy (awarded to the most sportsmanlike player in the tournament), he also scored 15 points over 17 playoff games and earned WHL First Team All-Star honours that season. Gorges also got the opportunity to represent his country at the 2004 World Juniors Championship in Finland, where he helped Team Canada win silver with three assists in the tournament. After playing nearly the first 100 games of his NHL career with the Sharks, Gorges was traded Feb. 25, 2007 to the Montreal Canadiens – where he enjoyed the bulk of his career. Gorges spent just over seven seasons with the Canadiens, endearing himself to fans and teammates with his grit, toughness, loyalty and commitment. He was twice awarded the Jacques Beauchamp-Molson Trophy (2009-10, 2011-12) by Montreal media members as the player who “played a dominant role during the regular season without obtaining any particular honour”. In his seven full seasons with the Canadiens, Gorges was fourth in the league for blocked shots (1,042). He was traded to the Buffalo Sabres, July 1, 2014, where he played four seasons, including his final NHL game April 7, 2018. 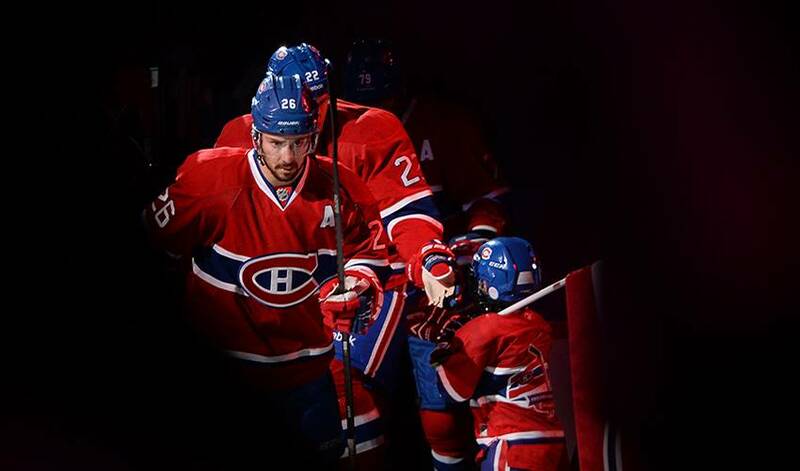 During his 13-season career, Gorges played in 68 playoff games over six different postseasons – highlighted by two trips to the Eastern Conference Final with the Montreal Canadiens (2009-10, 2013-14). In Montreal, he also served for three years as either an NHLPA Player Representative or Alternate Player Representative. Gorges resides in Kelowna with his wife Maggie and their two children.